Miami‘s fashion and art scenes converge in the Wynwood Arts District, which makes it one of the most popular Miami neighborhoods for Airbnbs. Many people visit Miami for its arts scene and Wynwood boasts some of the most quirky, unique, and interesting art on display. From industrial architecture and funky wall murals to contemporary art galleries (like the Rubell Family Collection) and a colorful Caribbean vibe, Wynwood is one of the coolest places in Miami to explore. With so much creative energy around, it’s not surprising to see all kinds of fashionable Miami Wynwood Airbnbs. 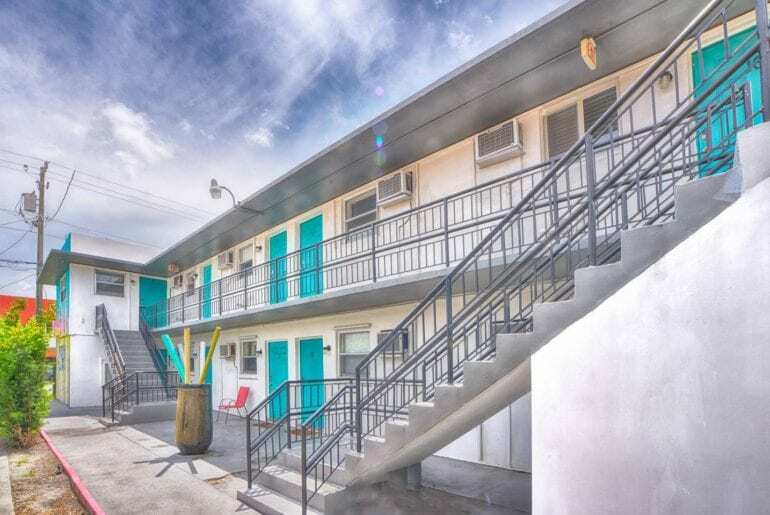 We’ve rounded up some of the best Airbnb properties in Miami’s Wynwood Arts district for you to browse below! 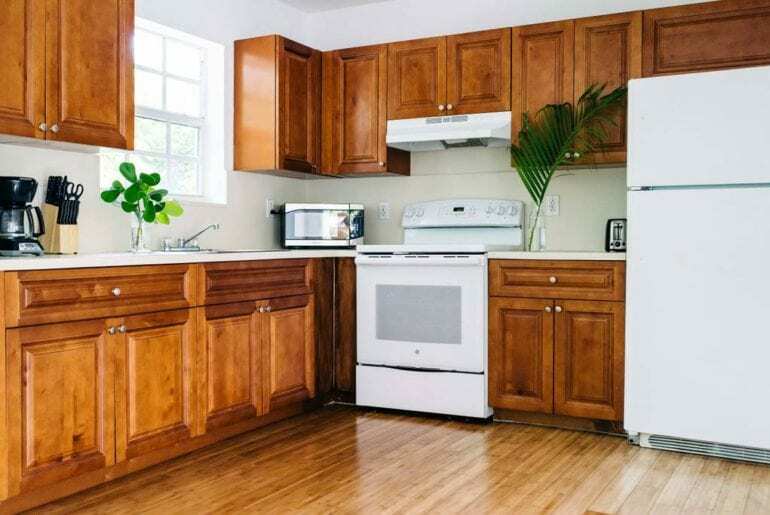 Located in a quiet pocket of north Wynwood, this cute and airy two-bedroom bungalow is perfect for anyone who wants a more residential, homey feel to their stay. 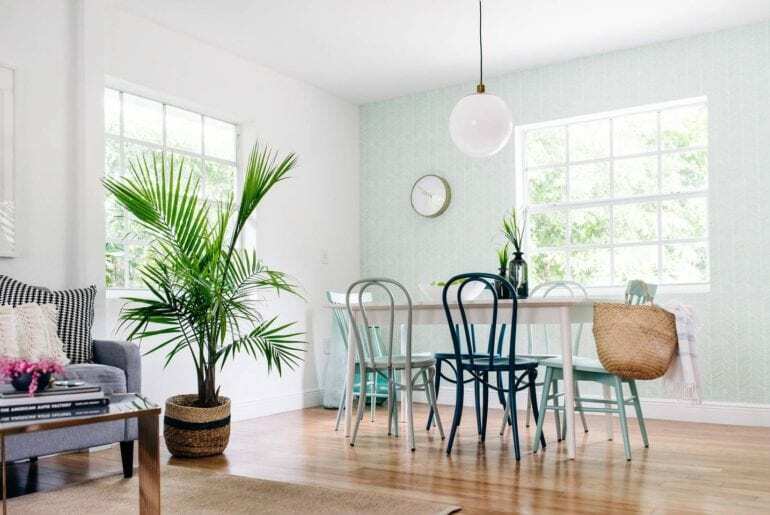 The bright and airy space has a laidback bohemian vibe to it, with lots of eclectic textiles and lush greenery. 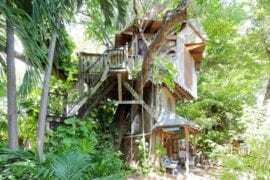 There is a beautiful, modern kitchen with ample storage and an absolutely enchanting private backyard complete with dining space and a hammock. 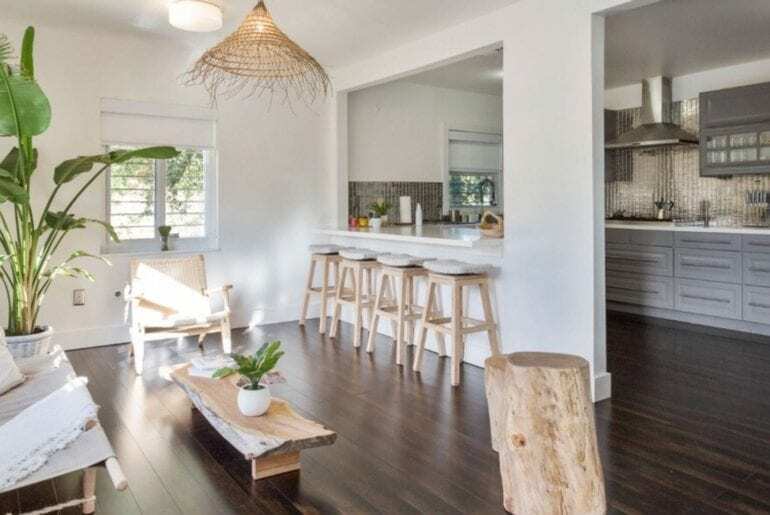 This two-bedroom bungalow can accommodate up to four people comfortably. 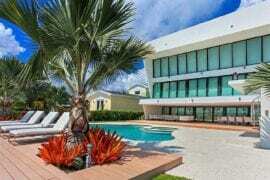 Available from $225 a night, the location can’t be beat! Stay steps away from the heart of the artsy Design District in one of the chicest Miami Wynwood Airbnbs ever. The heart of Miami’s Wynwood Arts District are the Wynwood Walls, a collection of outdoor mural art where the neighborhood’s ultra-hip transformation first began. 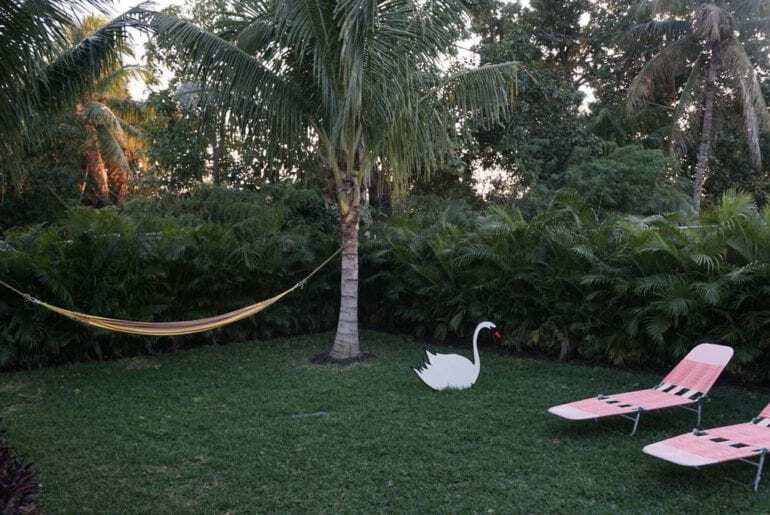 It’s now one of the most popular places to visit in Miami, so why not choose a Miami Wynwood Airbnb that’s right down the street? 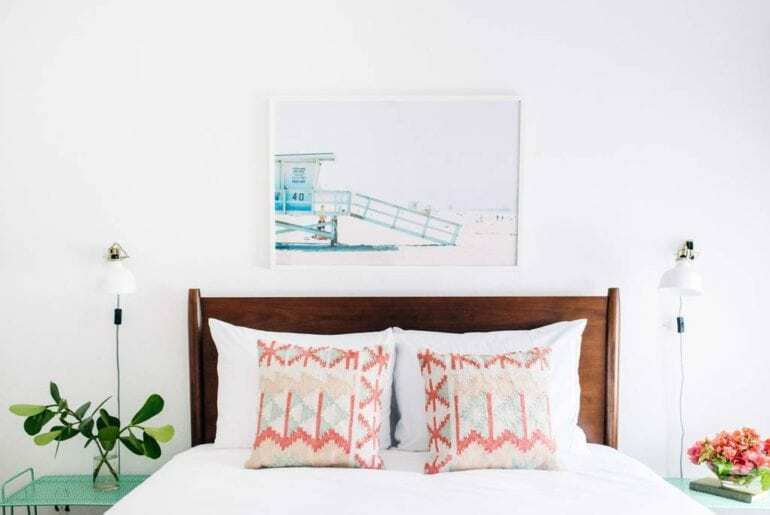 This retro-inspired studio apartment is an art lover’s dream, bursting with color and inspiring decor from just $140 a night. 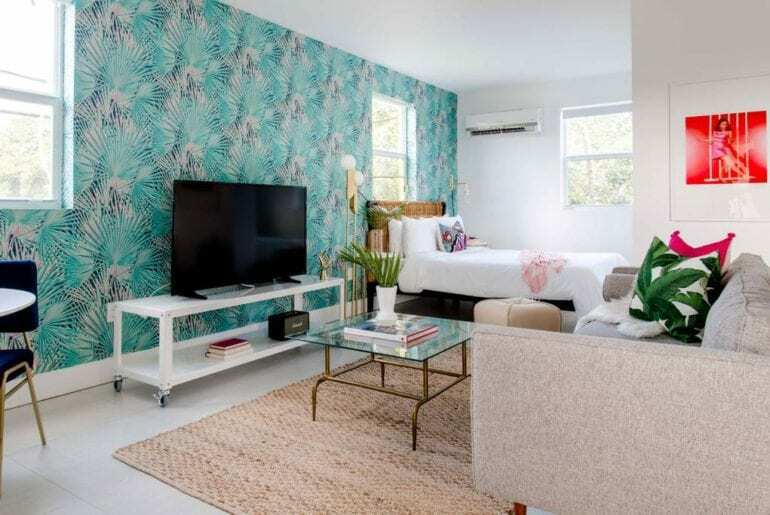 The large studio space has a separate sleeping alcove and gorgeous palm-leaf wallpaper, with feminine fold accents and a mid-century modern flair. It’s impossible not to fall in love with this cute and super-chic space, close to everything you could possibly need in Miami’s Wynwood Arts District. Ideal for families with kids or a group of friends enjoying a Miami getaway, this colorful, eclectic Wynwood home is sure to delight! 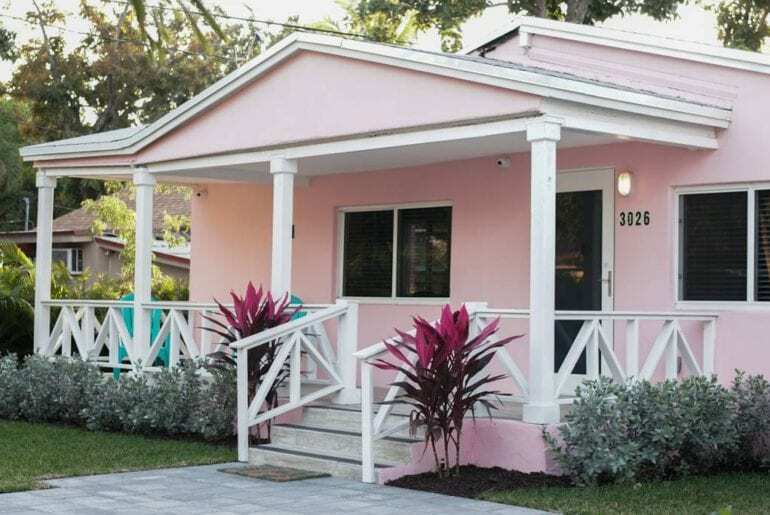 Drawing inspiration from its vibrant Wynwood Arts District neighborhood, this candy-pink charmer boasts beautiful murals inside and a spacious private yard out back. 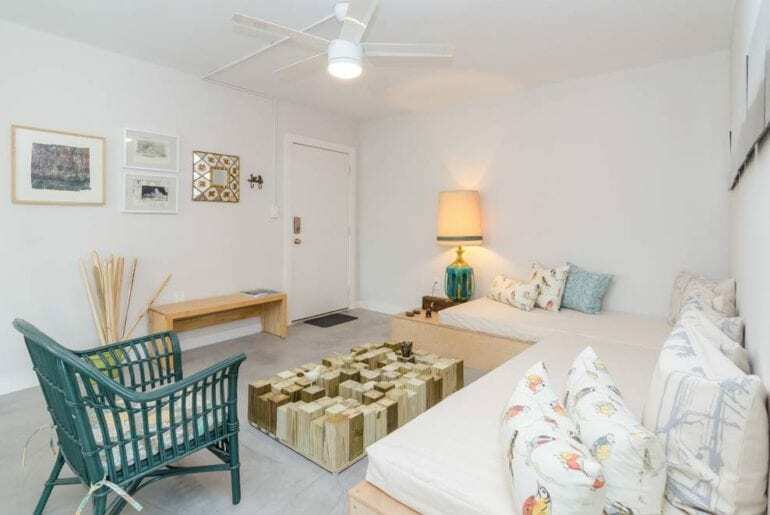 Sleeping up to five guests comfortably and set in a quiet, residential area, this place is one of the cutest Miami Wynwood Airbnbs we’ve found. The location is ideal, just a few minutes’ walking distance from stylish boutiques, cool galleries, and exciting restaurants. 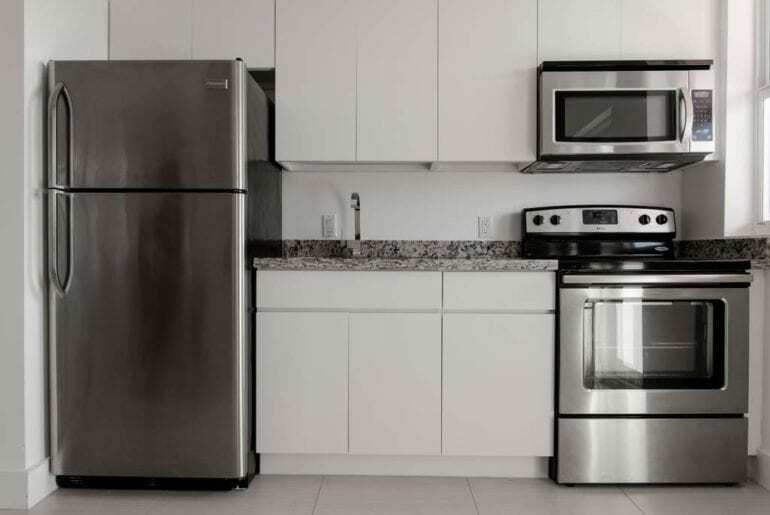 Enjoy staying in one of the best Airbnbs in Wynwood, from just $200 a night. 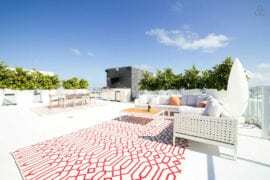 One of the most high-end Miami Wynwood Airbnbs is this sleek and super-luxe two-bedroom apartment with rooftop pool. 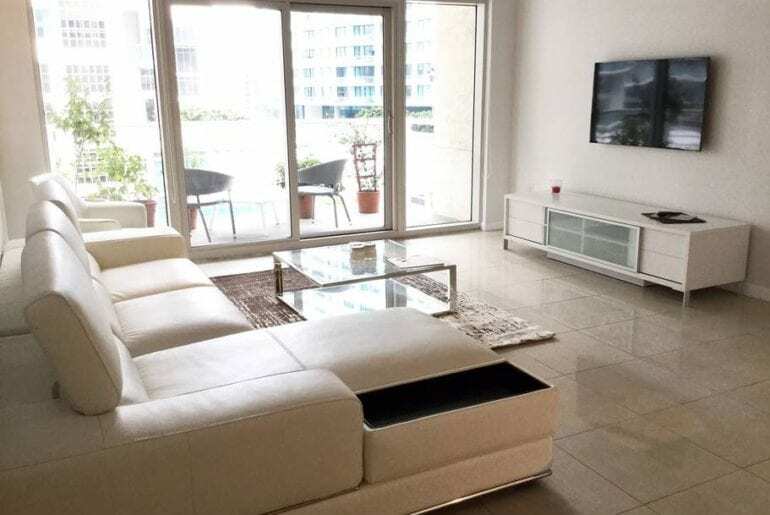 Located on the eastern edge of the Wynwood Arts District, this modern high-rise apartment grants a downtown experience while still being close to one of the most popular and eclectic Miami neighborhoods. 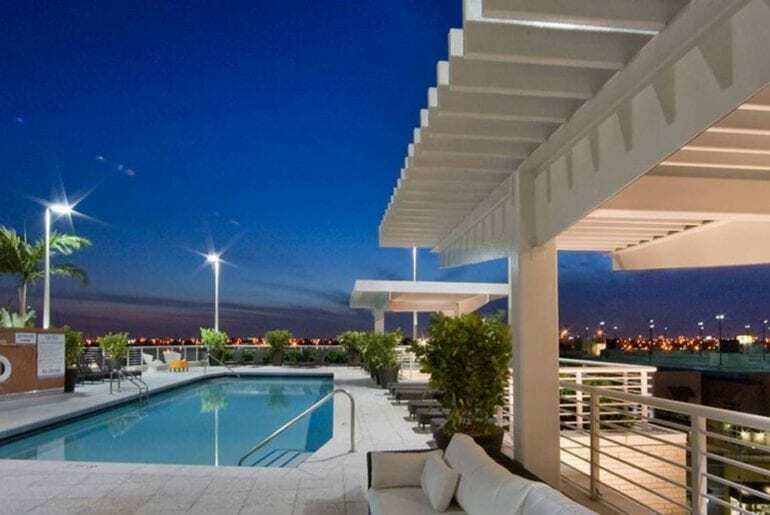 Enjoy added luxury building amenities like a rooftop swimming pool, outdoor BBQ, and upscale fitness center. 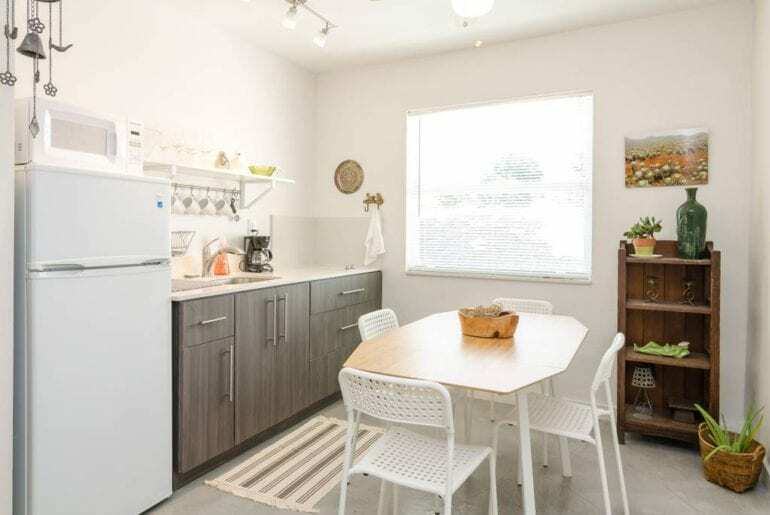 Available from $300 a night, this rental has space for up to six people, with a large and light-filled living space, sleek chefs kitchen, and unbeatable location. 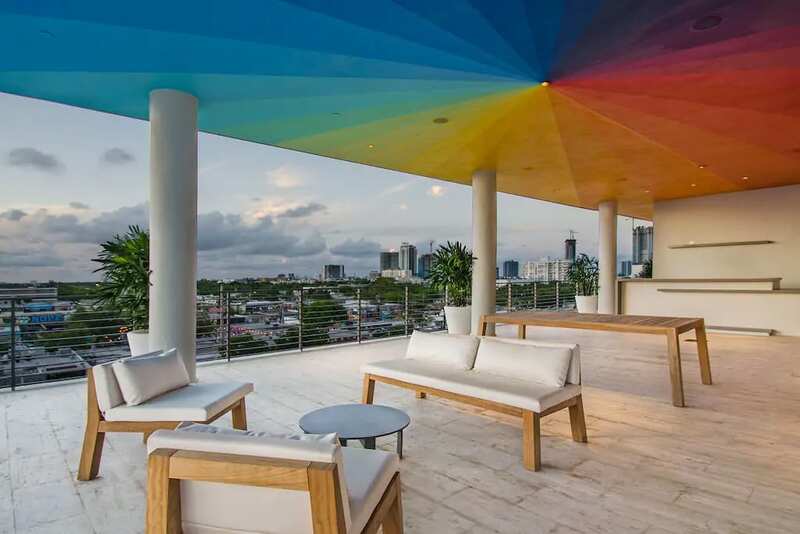 Conceptualized for ELLE DECOR magazine, this jaw-dropping, one-of-a-kind designer penthouse in Miami Wynwood is absolutely spectacular. 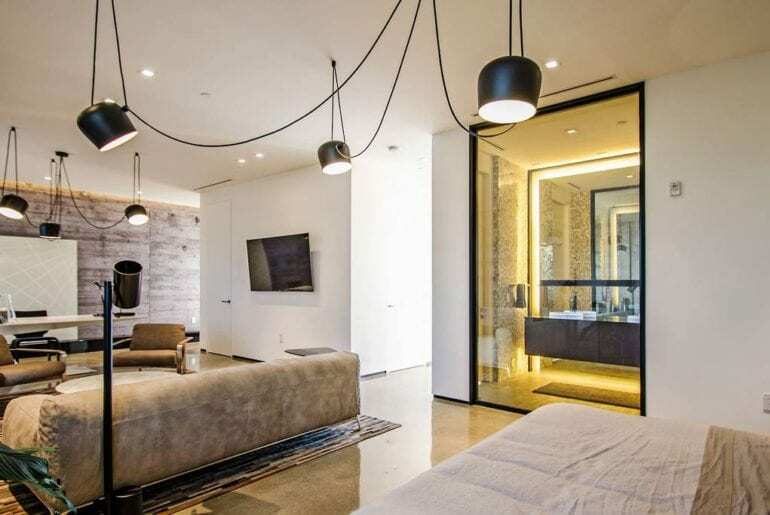 With space for five people in two bedrooms and two bathrooms, this beautiful penthouse apartment is both minimal in design and super-chic. 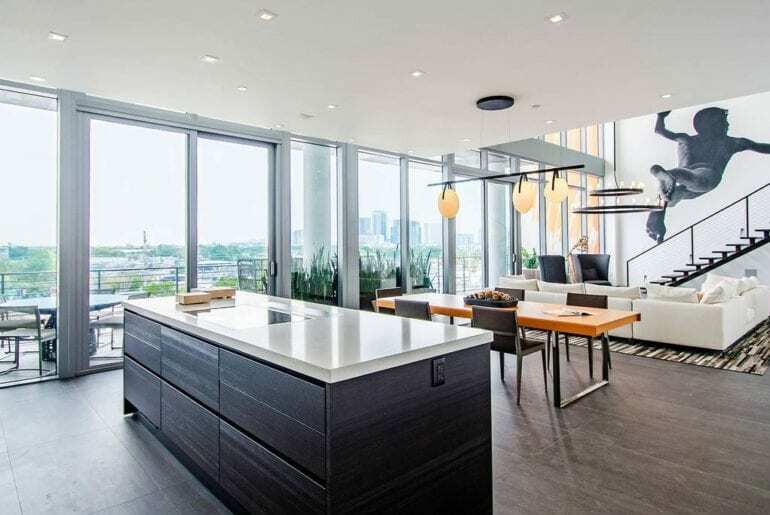 Spread across two floors, the penthouse features original artwork by the region’s top artists as well as an incredible outdoor deck with skyline views. For the absolute best in interior fashion, this property ticks every box. 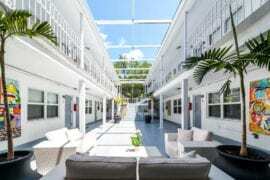 Starting at $3,000 a night, this is by no means the cheapest property in town, but it is without a doubt one of the most luxurious and sophisticated Miami Wynwood Airbnbs we’ve ever seen. Sometimes style comes at a price! 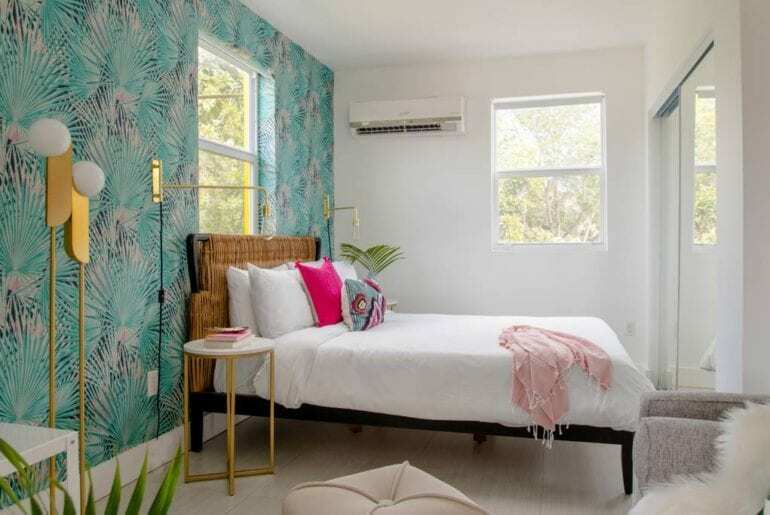 One of the best Miami Wynwood Airbnbs available, this charming and colorful two-bedroom apartment is a work of art itself. 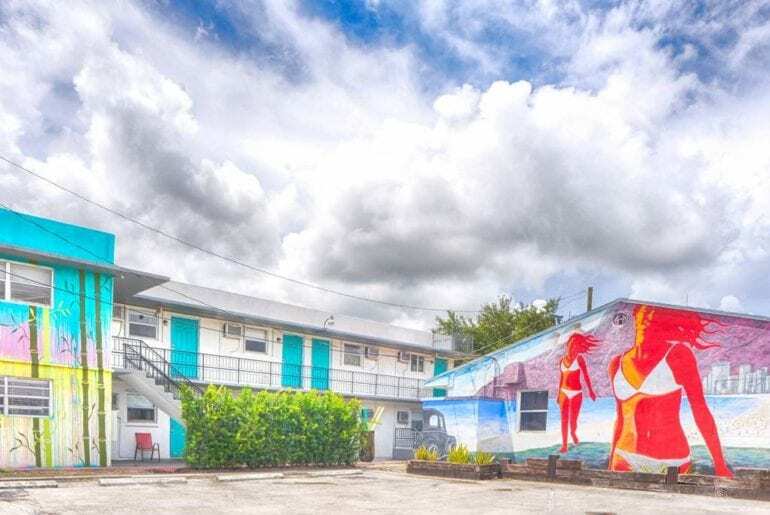 The building is completely covered in original murals by local artists, so you’ll feel right at home staying so close to the famous Wynwood Walls. The apartment itself is bright and spacious, with an airy open plan, two bedrooms, one bathroom, and a sunny little private balcony. 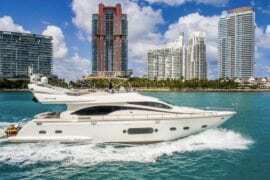 This is a great option for a small family or group of friends visiting Miami who want to embrace living like locals. Enjoy Wynwood’s seemingly unlimited array of cool cafes, exciting restaurants, and interesting art, all from just $155 a night. 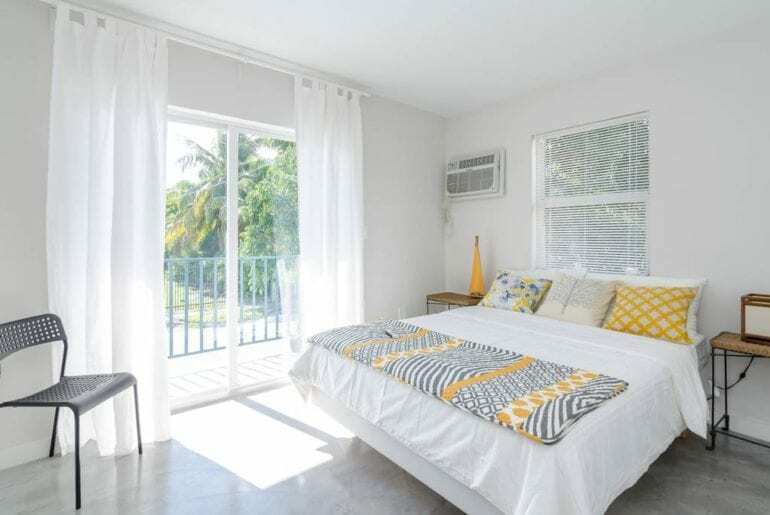 Beautifully decorated and professionally managed, this charming three-bedroom home in Wynwood Arts is the perfect place to stay while visiting Miami. 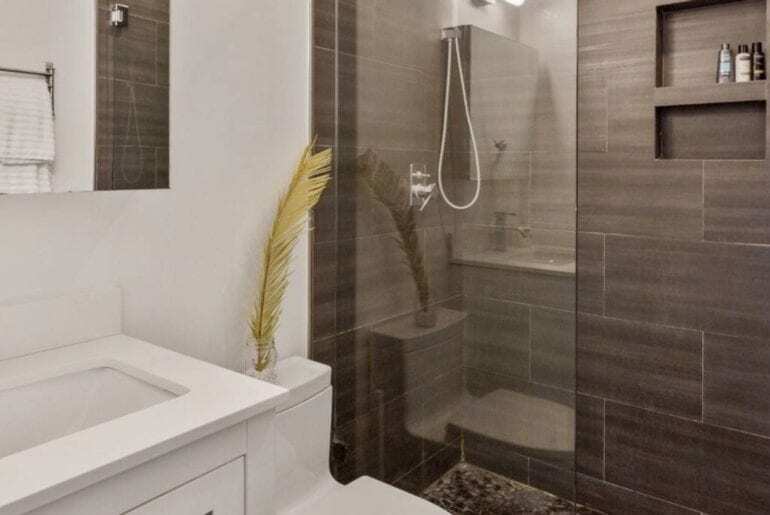 Featuring gleaming hardwood floors, three bright bedrooms, and two modern bathrooms, this home is large enough to accommodate a group of six in the heart of Miami’s stylish Wynwood Arts District. Miami Wynwood Airbnbs tend to be colorful and cool, much like the neighborhood itself, and this beauty is no exception. 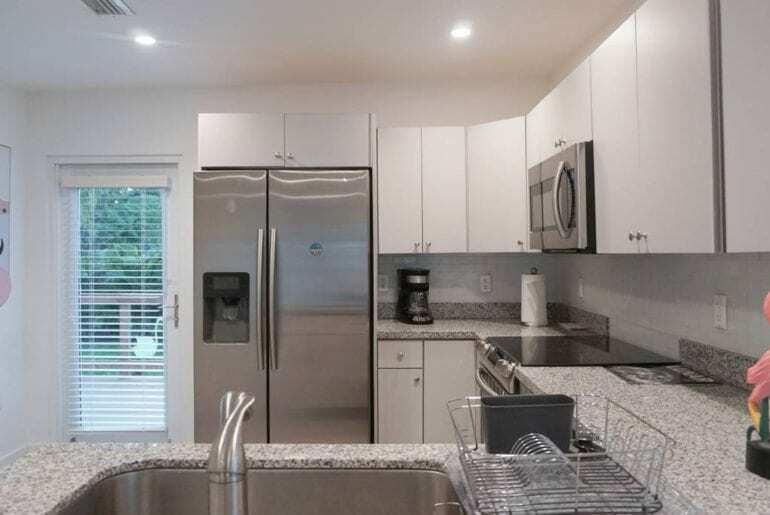 Located just a short walk from the famous Wynwood Walls, this gorgeous rental home is convenient to many popular neighborhood haunts, like Jimmy’z Kitchen and Wood Tavern. 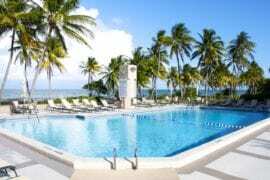 Stay in Miami and feel right at home from just $113 a night. 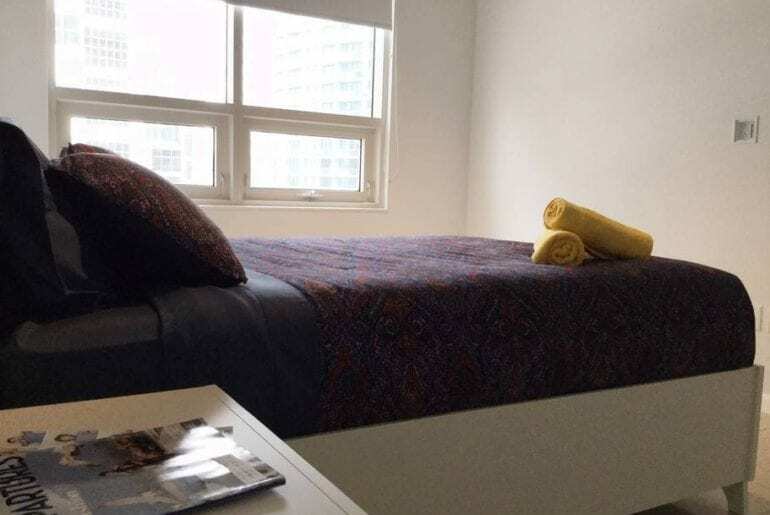 The perfect pied-à-terre for a budget-minded solo traveler, this cool and quirky studio apartment is ideal for anyone looking for affordable Miami Wynwood Airbnbs. 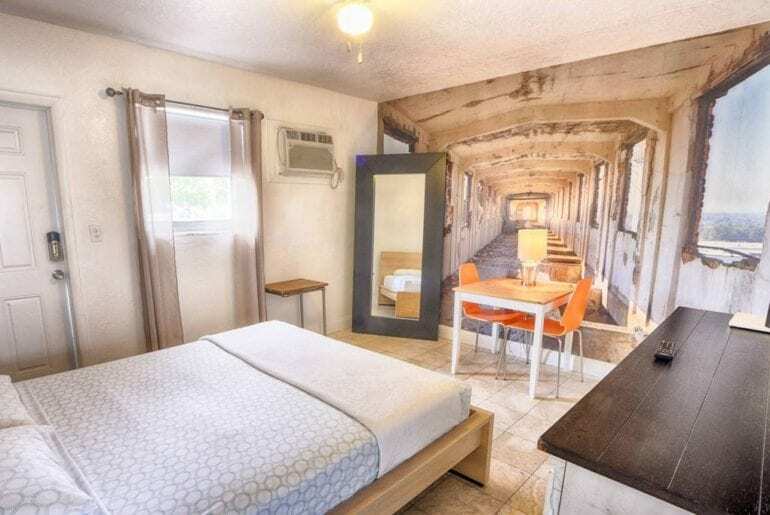 Available from just $99 a night, you can’t beat this price or location, right in the heart of Miami’s Wynwood Arts District. 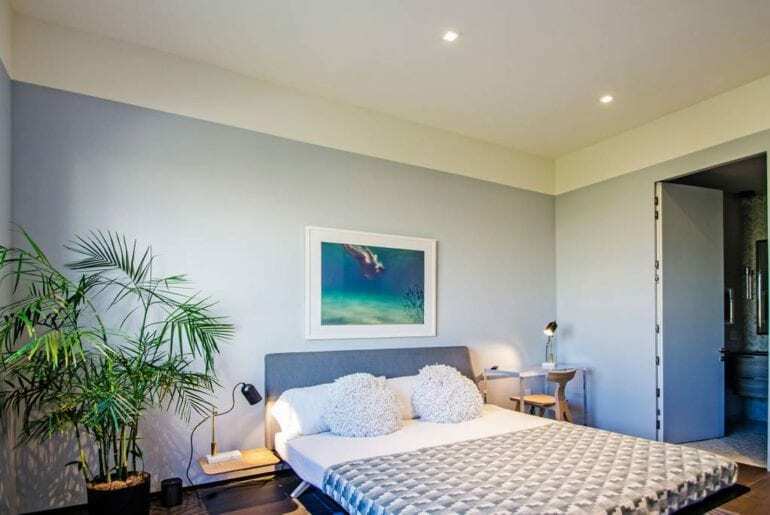 The studio room is nicely designed with modern furnishings and a cool wall mural, while a full kitchen and bright new bathroom complete the space. Solo travelers and first-time visitors to Miami will love staying in the trendy Wynwood Arts District. Miami’s best art and artists can be found here, in the contemporary galleries and on the many wall murals around the neighborhood. 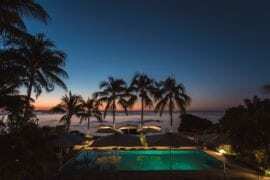 The laidback vibe is welcoming of newcomers, as are the many hip eateries and cool boutiques throughout the area. There’s lots to love in Wynwood!